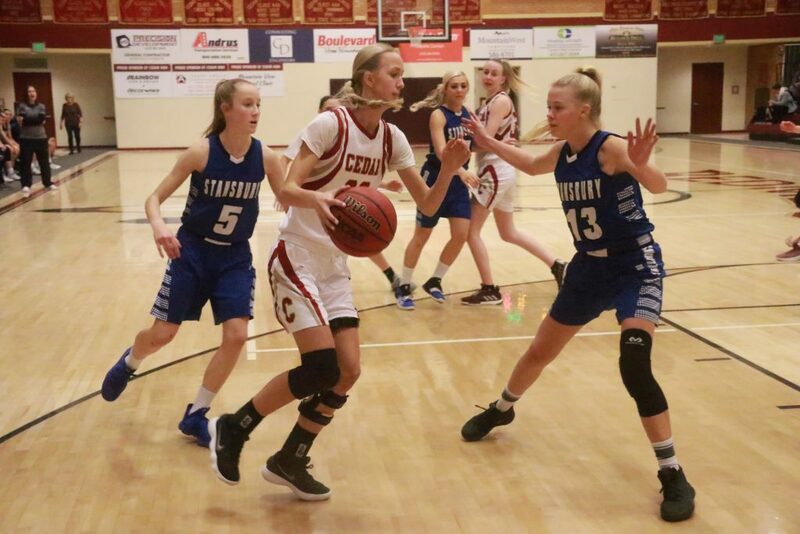 CEDAR CITY — Cedar High School’s girls were the only Region 9 varsity team to go undefeated at the 10th annual Steve Hodson Cancer Classic, which wrapped up Saturday. 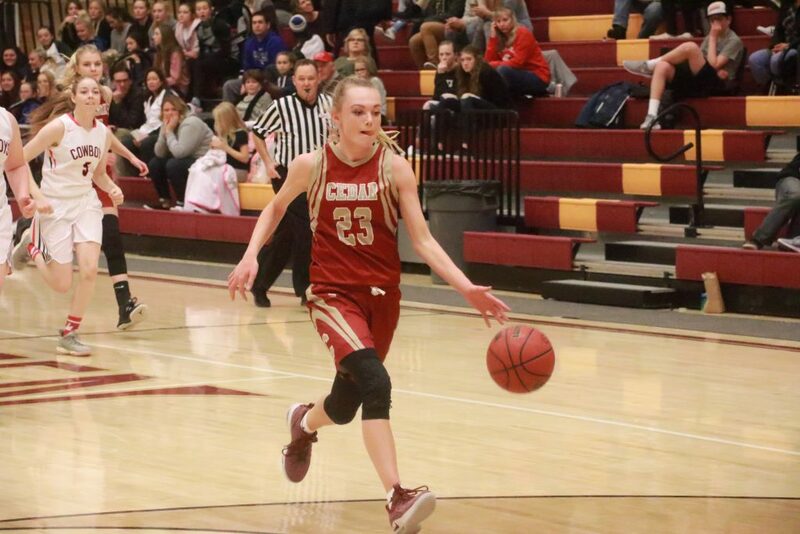 After defeating Juab 62-37 on Thursday, the Lady Reds beat Grantsville on Friday and Stansbury on Saturday to stay unbeaten this season. 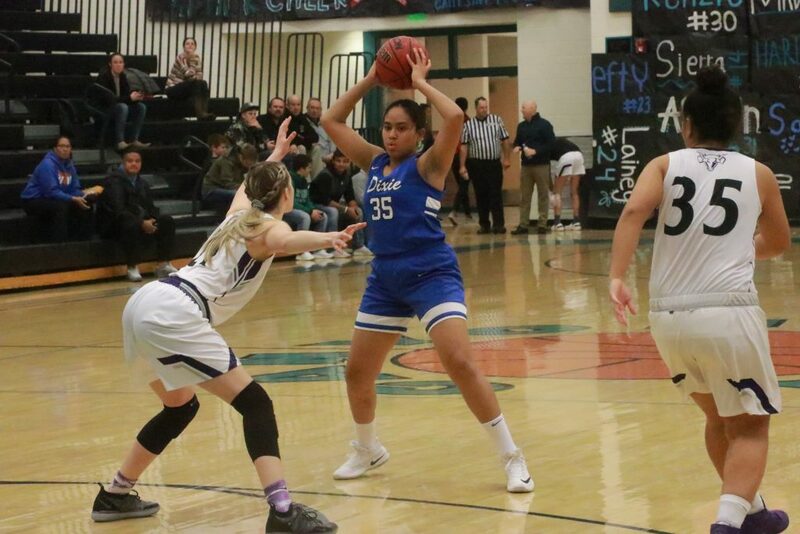 In other girls varsity action involving Region 9 teams, Canyon View and Dixie both went 2-1 at the three-day Hodson Classic, while Hurricane went 1-2. In boys varsity contests, Canyon View went 2-1 during the tournament while co-host Cedar went 0-2. 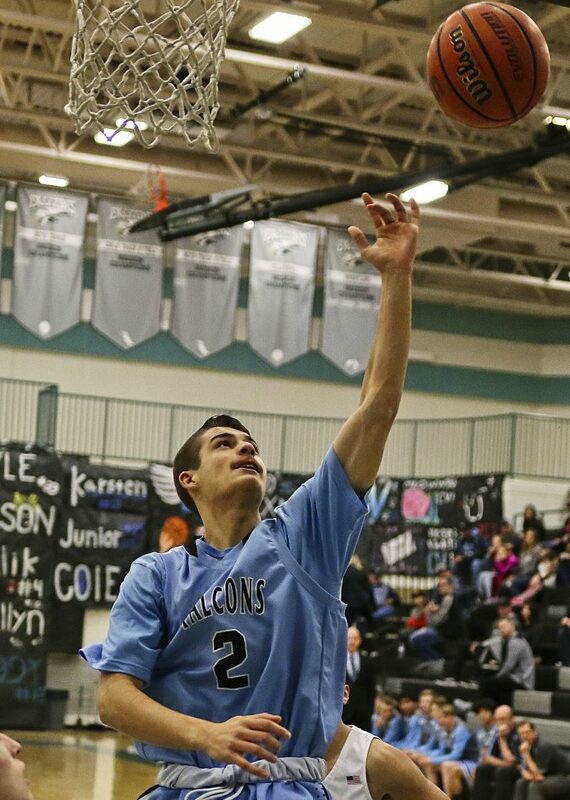 Following are short recaps of Friday’s and Saturday’s games involving Region 9 teams. Friday, the Lady Reds started out strong against the Grantsville Lady Cowboys, building a 32-17 halftime lead. Cedar stayed comfortably ahead during the second half, eventually winning 54-38. 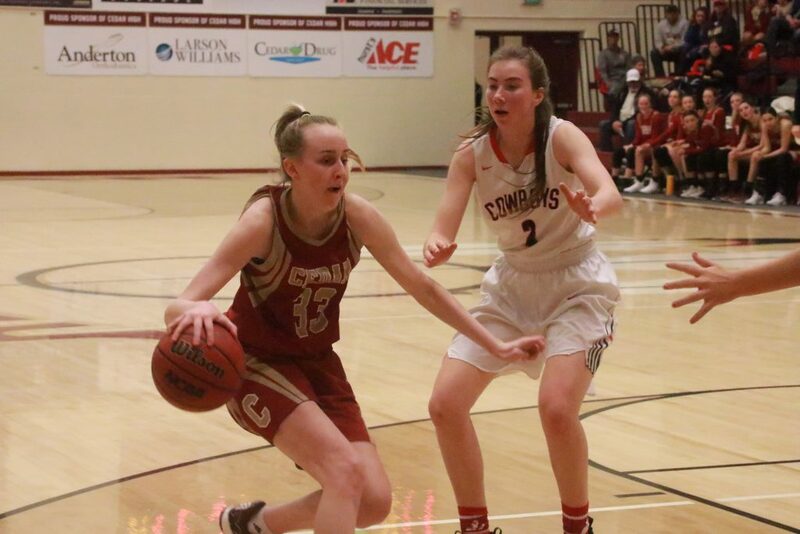 Guard Mayci Torgerson, who’d gotten stitches in her forehead the day before, led Cedar with 13 points, while fellow guard Logann Laws added 11. 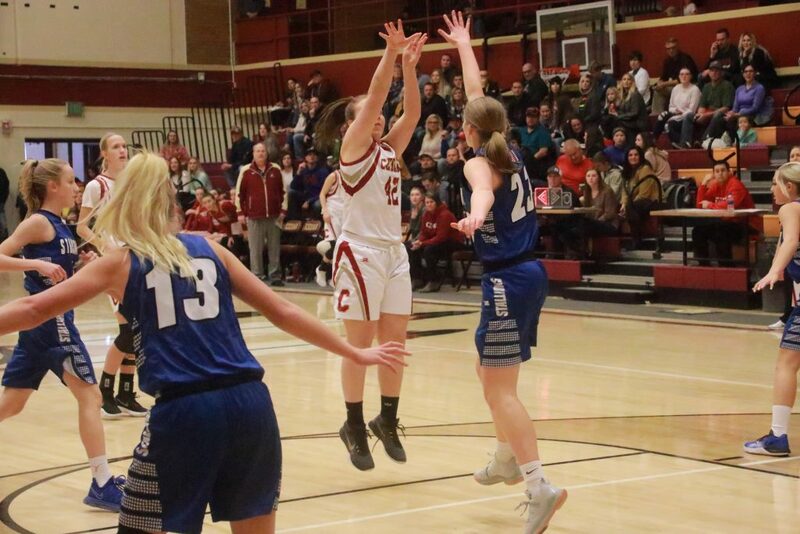 The Lady Reds capped off a perfect weekend at the Hodson Classic with a 52-34 win over the Stansbury Stallions on Saturday. The score stayed close in the first quarter, which ended with Cedar up 15-12. The Lady Reds then outscored Stansbury 17-10 in the second quarter to take a 32-22 halftime lead. Cedar’s offense managed just 20 points in the second half, but its stifling defense held Stansbury to just 12 points after halftime. Mayci Torgerson scored 18 points to lead Cedar, while fellow guard Logann Laws added 16. Cedar’s next scheduled game is a region contest at Desert Hills on Thursday at 7 p.m.
On Friday, the Hurricane Lady Tigers held the Stansbury Stallions scoreless for the first seven minutes of the game, building an early 11-0 lead. Guard Madi Hirschi hit three 3-pointers during that stretch. But Stansbury surged back in the second quarter, hitting six 3-pointers of their own to pull within 27-24 at halftime. Hurricane managed to stay ahead the second half, eventually winning by seven, 58-51. 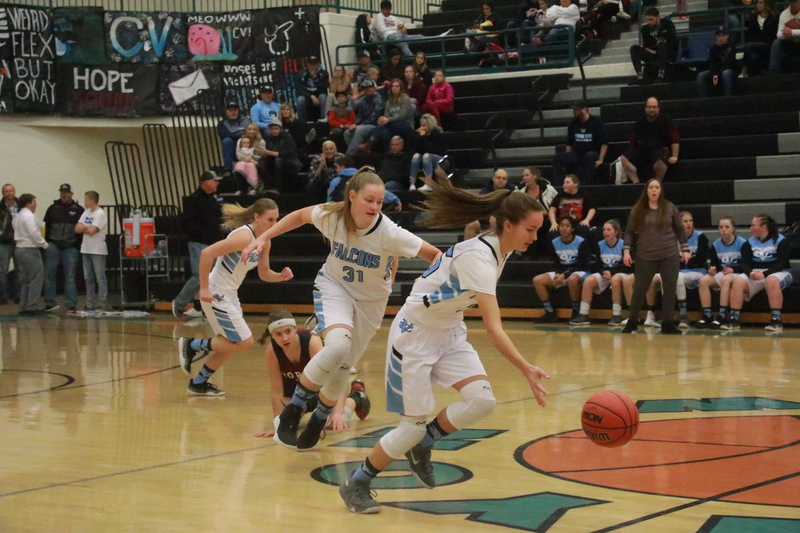 Hirschi finished with 21 points, while teammate Bryn Erickson added 13 points and grabbed eight rebounds. 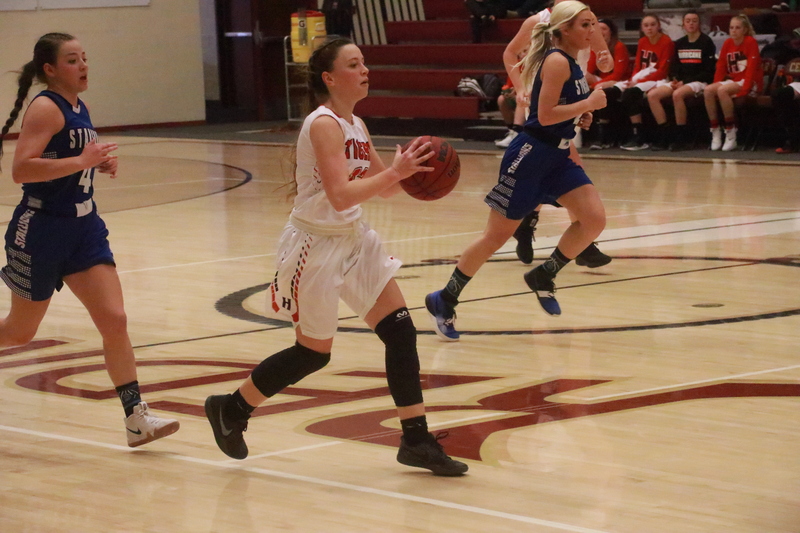 In a game that stayed close the entire way, Grantsville outscored Hurricane 4-2 in overtime to come away with a 55-53 victory at Canyon View on Saturday morning. The overtime period was particularly disheartening for the Lady Tigers, Homer added. Nevertheless, Homer said she was proud of her team’s effort. “It was a great game to be a part of,” she said. 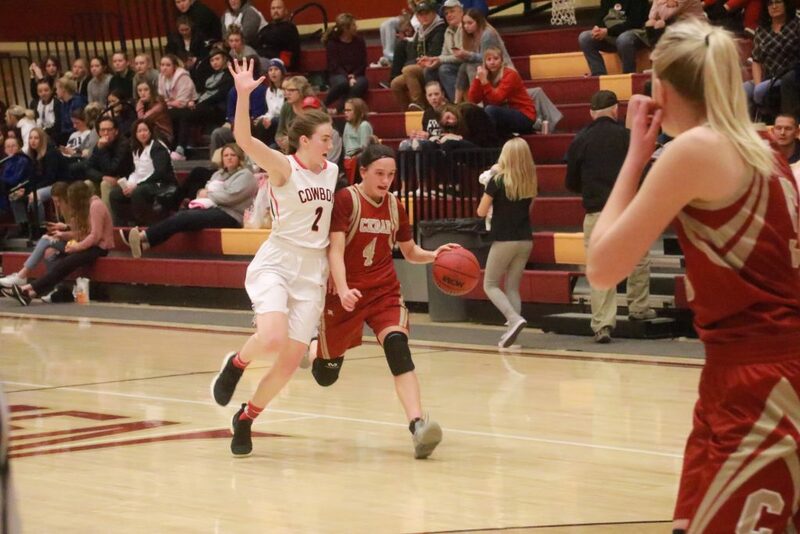 Hailey Homer and Bryn Erickson scored 16 points each to pace the Tigers, while Grantville’s Ashlee Edwards scored 19 and Madison Fields added 18. 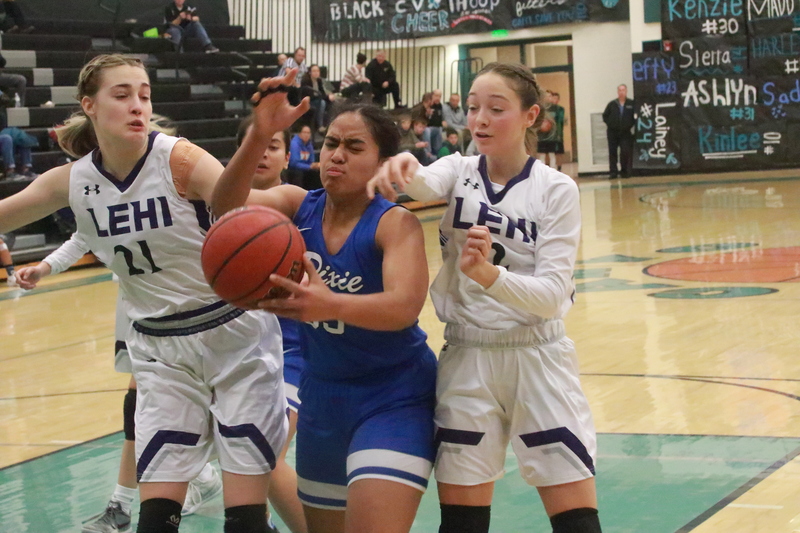 Hurricane’s next scheduled contest is a region game at Canyon View on Thursday at 7 p.m.
At Canyon View High on Friday, Dixie made two free throws with one minute left in the game but never scored again, as Lehi outscored the Lady Flyers 7-0 in the final minute to win 49-40. All seven of those points came on free throws by sophomore guard Macie Warren. 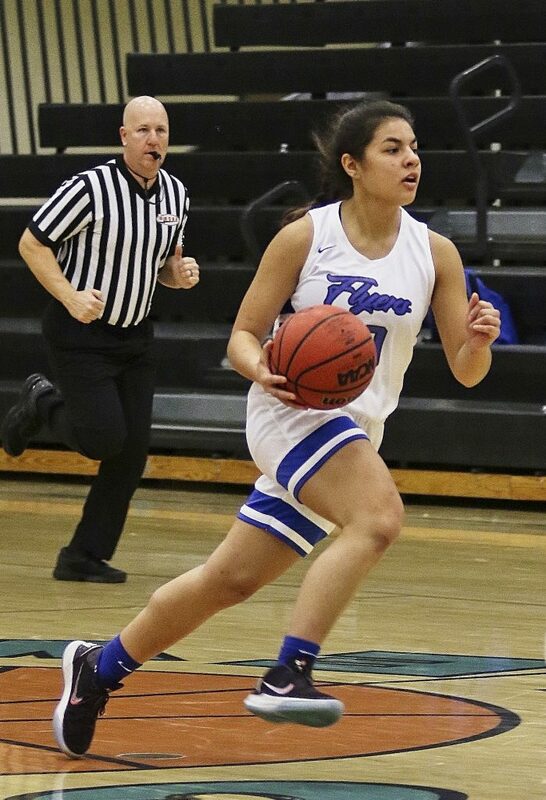 Warren swished six free throws in a row, all in one-and-one situations while Dixie was fouling on purpose to stop the clock, to ice the victory for the Pioneers. 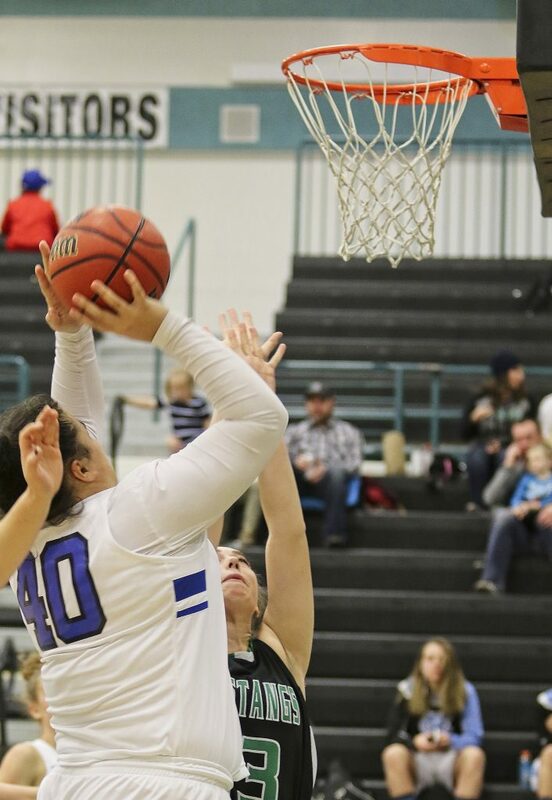 Warren and teammate Maddie Lindsay paced the Pioneers with 14 points apiece, while Joslyn Bundy led Dixie with 10. 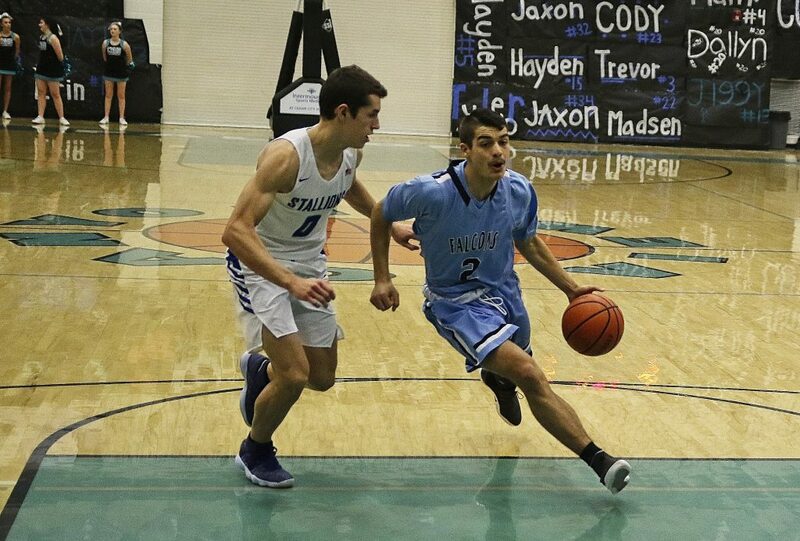 Saturday afternoon at Canyon View, the Dixie Flyers faced a tough fight from 1A’s Bryce Valley but eventually pulled away in overtime for a 53-44 victory. 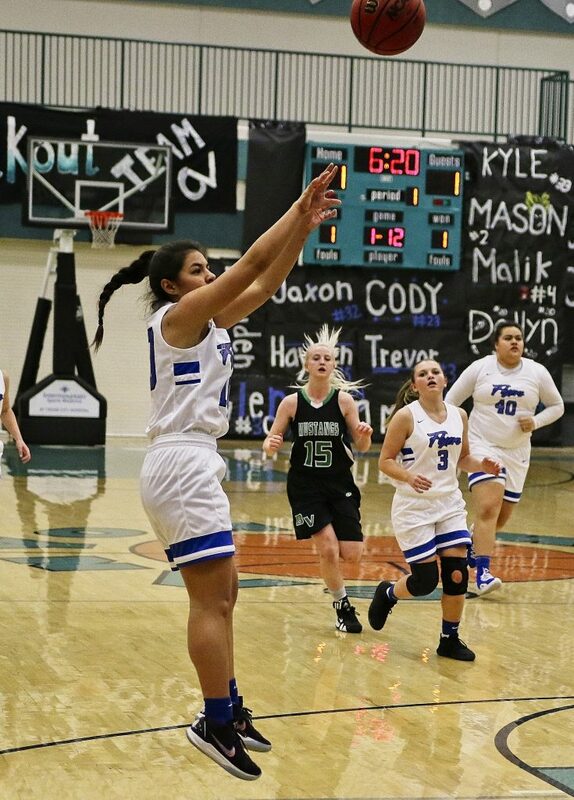 Bryce Valley’s Brooklyn Syrett made two free throws with 3.7 seconds left in regulation to tie the game 42-42, and Dixie missed a field goal attempt at the buzzer. Early in the five-minute overtime, Dixie managed to pull ahead, said head coach Ryan Forsey. 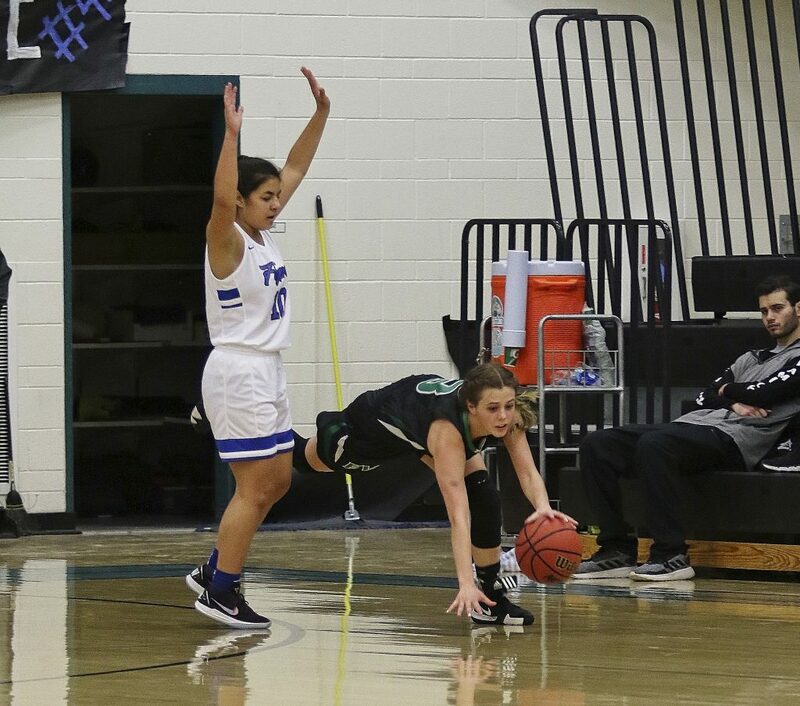 The Lady Flyers ended up outscoring the Mustangs 11-2 in the overtime period, as Bryce Valley managed just two free throws and missed all of its field goal attempts. 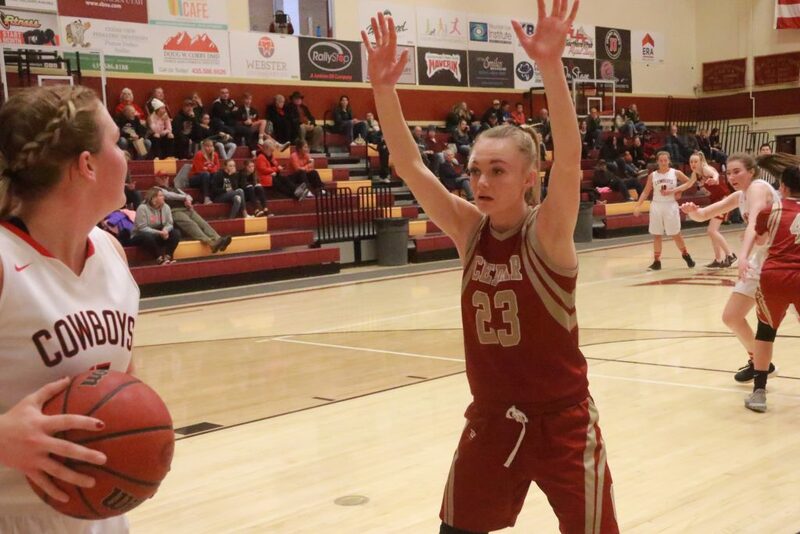 Also of note, teammates Sina Schwalger and Joslyn Bundy shot a combined 12-of-13 from the free throw line during the game, Forsey said. 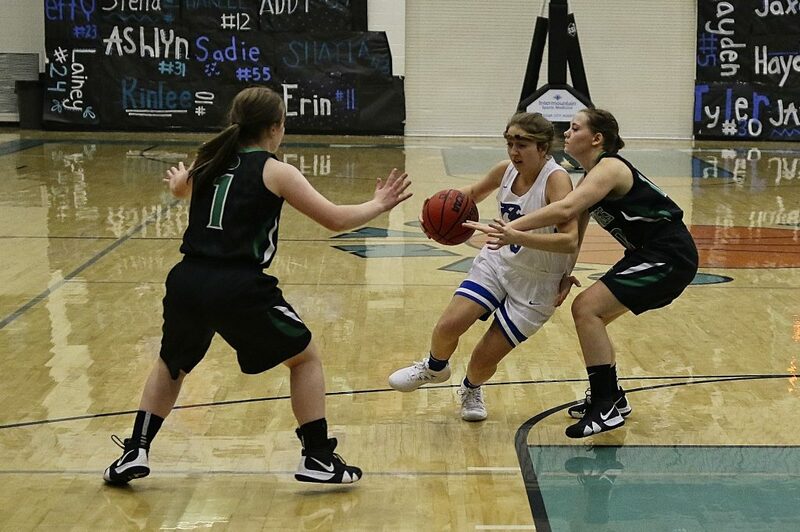 Dixie’s next scheduled game is Jan. 8 at region rival Snow Canyon. 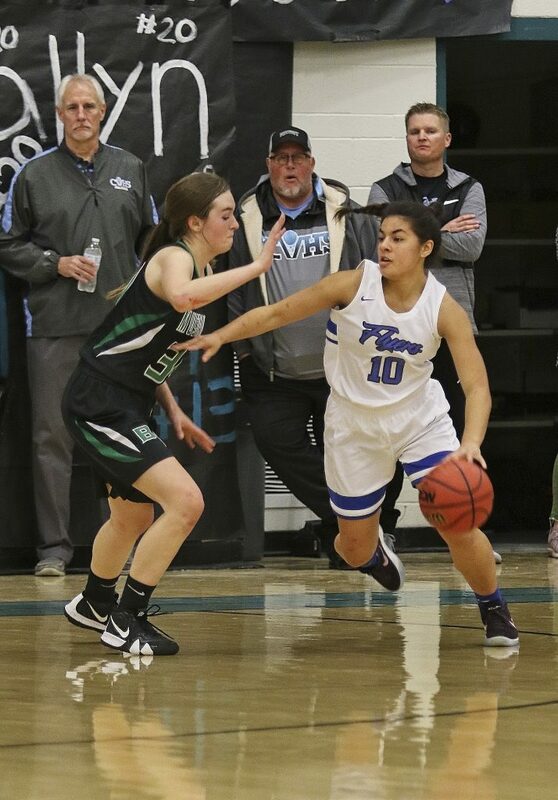 Canyon View broke open a tight game against Tooele on Friday, outscoring the Lady Buffaloes 14-5 in the fourth quarter to win by 10 points, 39-29. Ashlyn Banks scored 13 points to lead the Lady Falcons, while Addison Newman added nine. 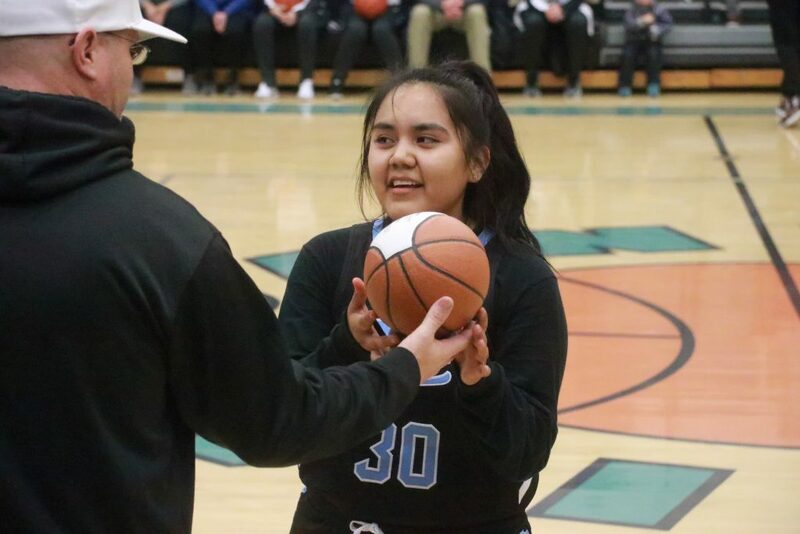 Another highlight for Canyon View on Friday was sophomore guard MacKenzi Whitehair winning the tournament’s 3-point shootout competition on her home court that evening. During her best round, Whitehair drained 11 treys in 60 seconds. 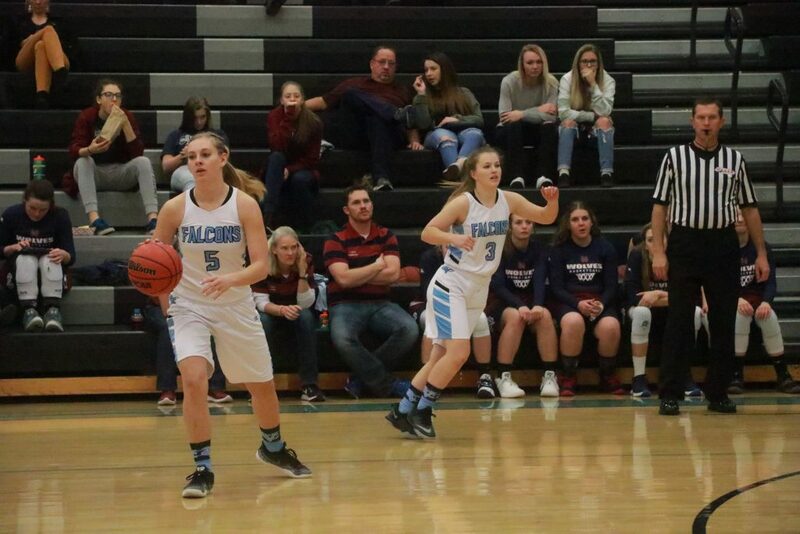 In a defensive battle similar to their win over Tooele the night before, the Canyon View Lady Falcons shut down the North Sevier Lady Wolves on Saturday night, 36-26. 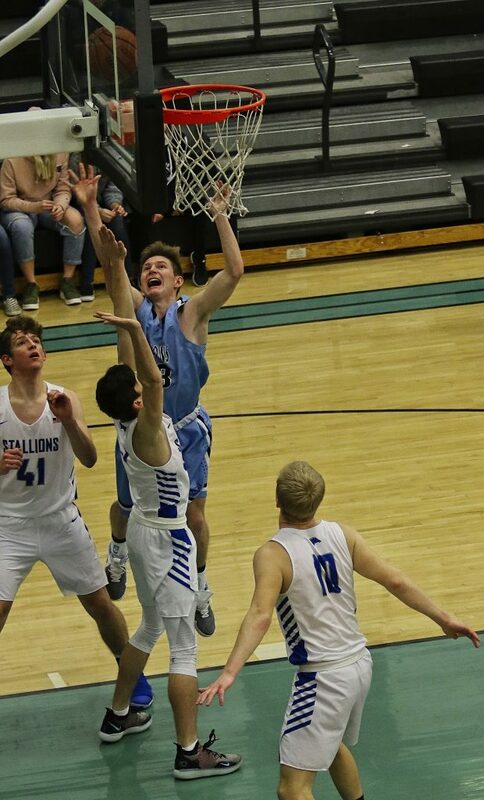 Canyon View’s next game is at home against Hurricane on Thursday at 7 p.m.
Friday at Canyon View, the San Juan Broncos defeated Canyon View 65-56, despite Falcon guard Trevor Farrow’s 19 points, including three 3-pointers. 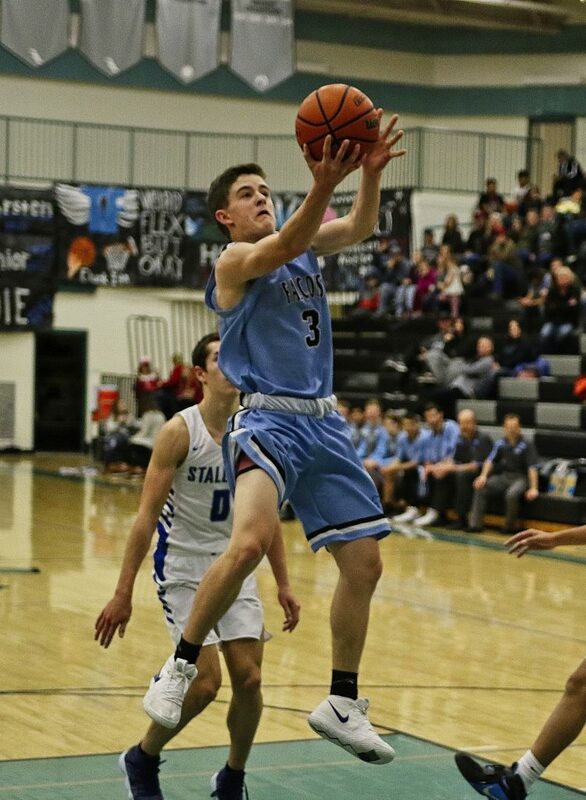 Mason Lyman added 16 points for Canyon View. 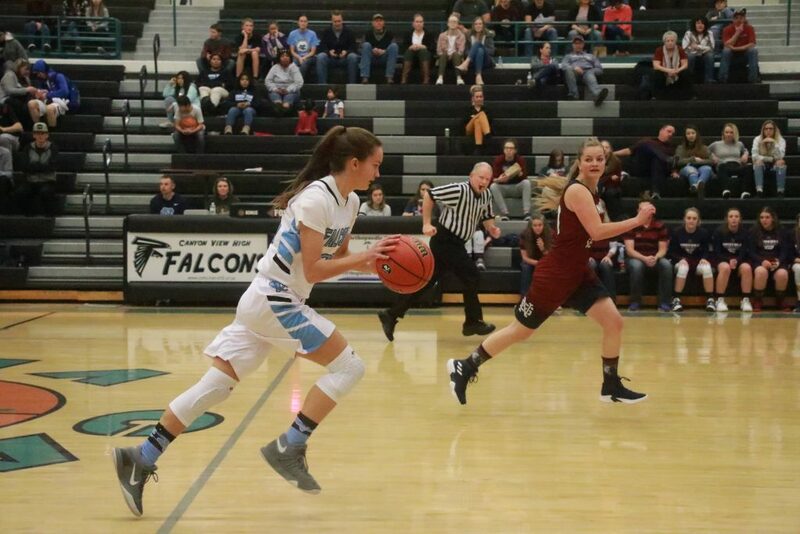 In another closely fought battle Saturday afternoon, the Canyon View Falcons edged past Stansbury, 57-52. 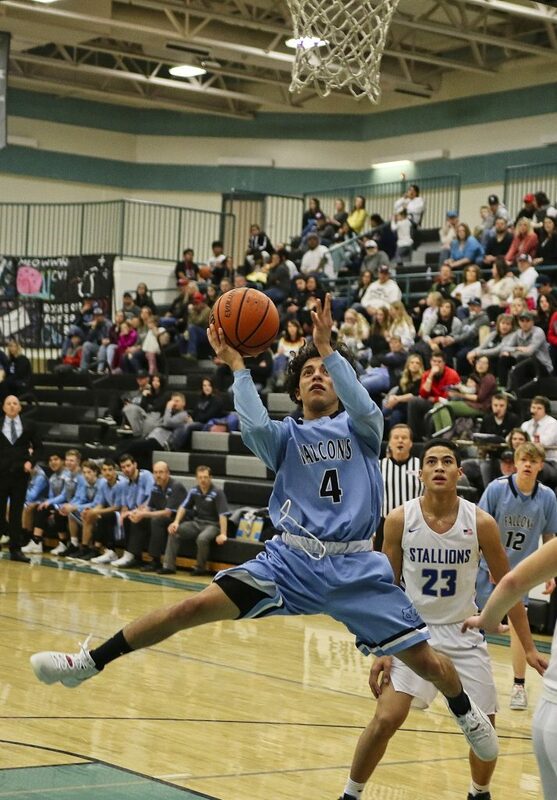 After holding a slim 24-23 halftime lead, Canyon View outscored the Stallions by four during the third quarter and managed to stay a couple baskets ahead the rest of the game. 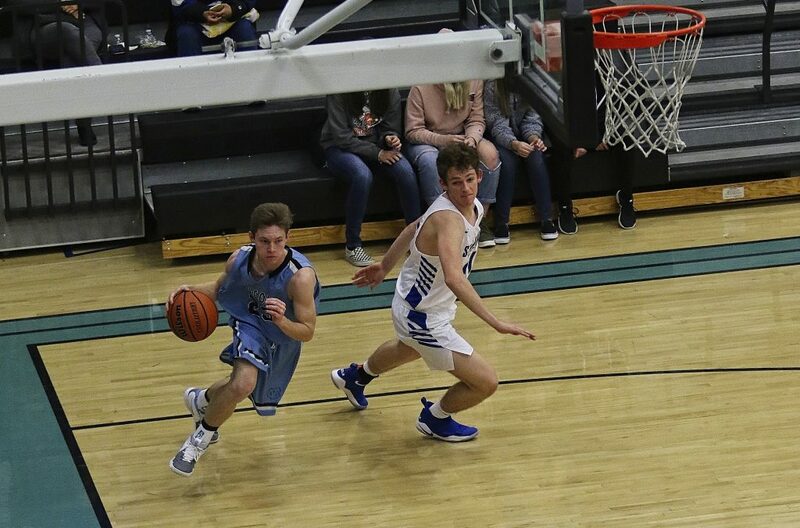 Trevor Farrow led Canyon View with 16 points, while Parker Holmes added 11 and Mason Lyman chipped in 10. Canyon View head coach Rob Potter said he noticed a marked change in his players’ attitude after Friday’s loss to San Juan. Potter said the physical, athletic Stansbury team was the very caliber of opponent the Falcons are likely to face throughout the Region 9 regular season. “It was a good test before heading back in to the region season,” he said. 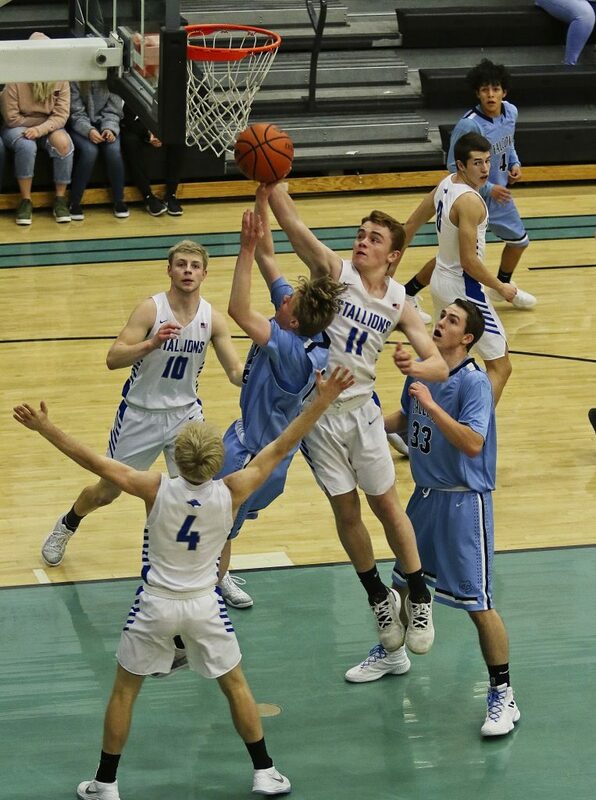 Canyon View’s next game is at Hurricane on Friday at 7 p.m.
At Cedar High on Friday, the Stansbury Stallions doubled up the Redmen in the first half, taking a 31-15 halftime lead. Stansbury then coasted to a 17-point victory. 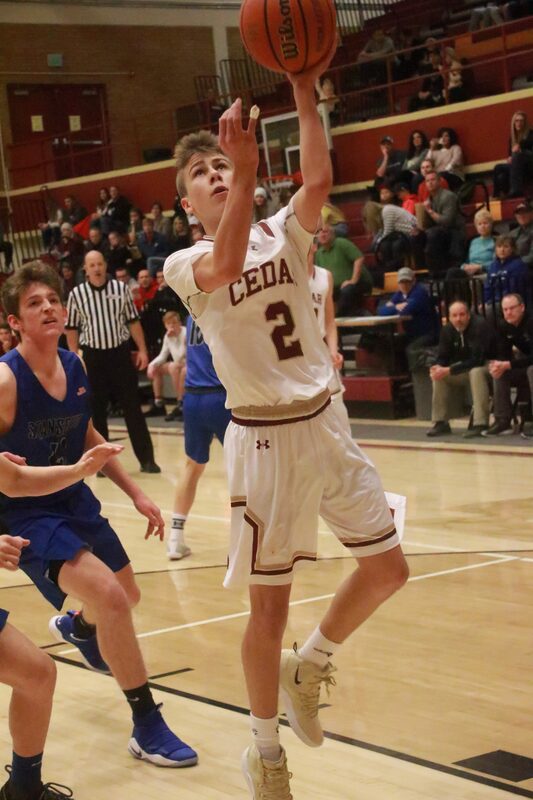 Luke Armstrong led Cedar in scoring with 16 points, while Landon Barney added 10. 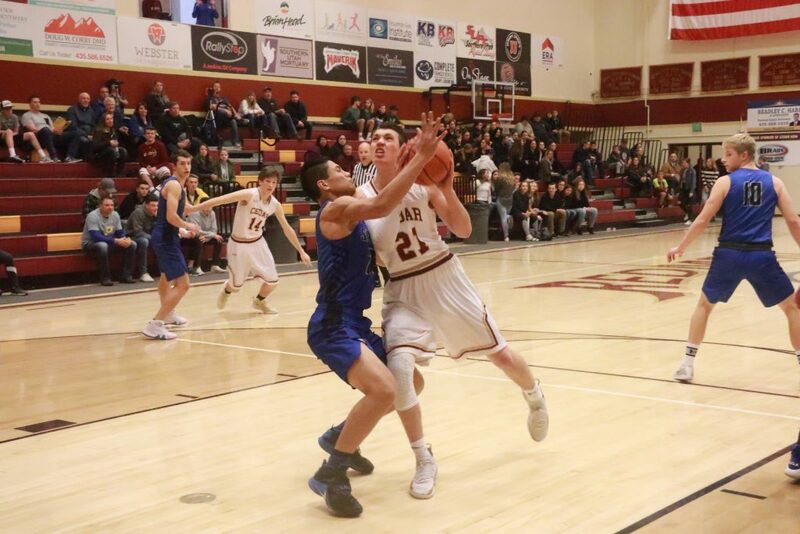 Despite outscoring the Uintah Utes 30-23 in the first half, the Cedar Redmen faltered both offensively and defensively in the second half, eventually losing by 11 points, 65-54. Treyton Tebbs had a game-high 15-points for Cedar, while teammate Tanner Eyre added 14. Both players hit three 3-pointers apiece. Cedar’s next game is at home against Desert Hills on Friday at 7 p.m.
Canyon View head coach Rob Potter said the tournament proceeds and other donations will be presented in the form of checks to local cancer survivors Pam Smith and Michelle Anderson, along with their families, during the halftime of the Feb. 6 game between Cedar and Canyon View, at Canyon View High.